Here is a quick tip that is just awesome and ever since I found out about this site, I just can’t stop using it. Whenever you see a font out in the wild and you just love it, but can’t figure out what it is, simply take a picture of it. Same goes for when you are surfing ‘cyberspace’. Why? 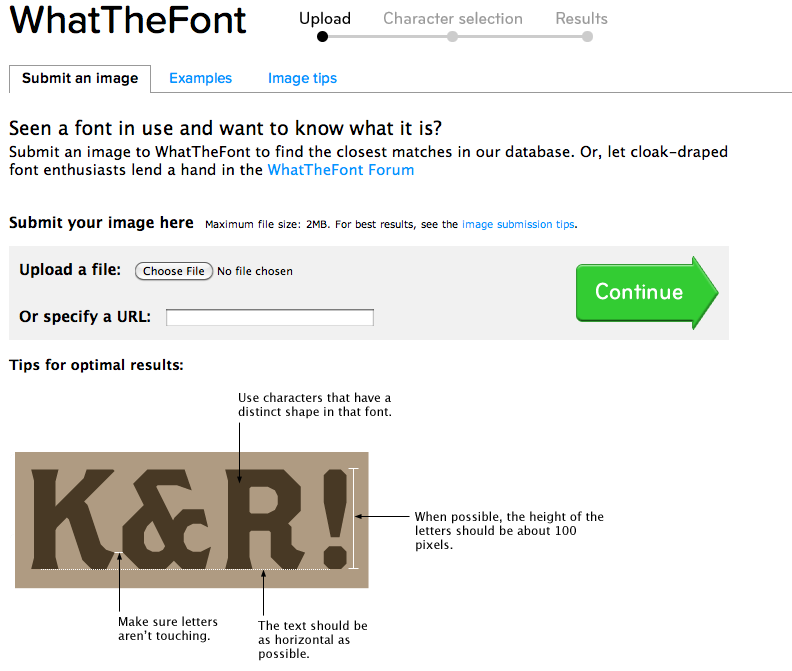 Because WhatTheFont.com, let’s you upload any image (you can also use a URL) and the site analyzes the font and not only tells you what the font type is, but also where to download it. Some are free and some are not. Depends on the font. For anyone who tries to match fonts on regular basis and spends hours doing it, this is sent from [insert religious figure]. Enjoy!